Summary: Promising aid to Afghanistan will again become a fashion – for a short while. But promising is one thing, handing it over is another and ensuring it is used effectively something different again. 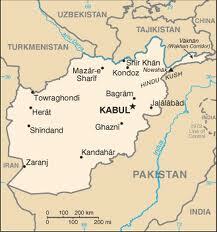 The Norwegian government has pledged to send more economic assistance to Afghanistan. The commitment was announced by Prime Minister Jens Stoltenberg on Wednesday 6 February during a meeting with Afghani President Hamid Karzai in Oslo. The move will see a further NOK 750 million (EUR 101 million) sent to the strife-torn country each year. Stoltenberg said in a statement, however, that the package would be awarded conditionally depending on the Afghani government’s performance in terms of ensuring human rights, good governance and transparency. President Karzai said that he would work to ensure that Afghani authorities put the funds to good use through the remainder of his current term, which will end in 2014. Meanwhile, some Norwegian officials have expressed concern over whether or not the funds will get past steadfast corruption in Afghanistan and go toward protecting the rights of people in need. How to avoid “conditionality” to the point of inactivity – are European nations really going to wait until all human rights abuses are resolved before handing over money? Alternately, how will European governments explain how taxpayer’s money has been handed over while human rights abuses and corruption issues are still very much in evidence?